Speculations are high that South African fast bowler is on his way to India to join the struggling Royal Challengers Bangalore (RCB) in the Indian Premier League 2019 (IPL 2019). RCB has had a disastrous start to their IPL 2019 campaign and have lost six out of six matches thus far. The Virat Kohli-led side is languishing at the bottom of the IPL 2019 points table. RCB Memes Apart, Now Virat Kohli Receives Negative Comments on His Latest Instagram Post Ahead of KXIP vs RCB IPL 2019 Match! 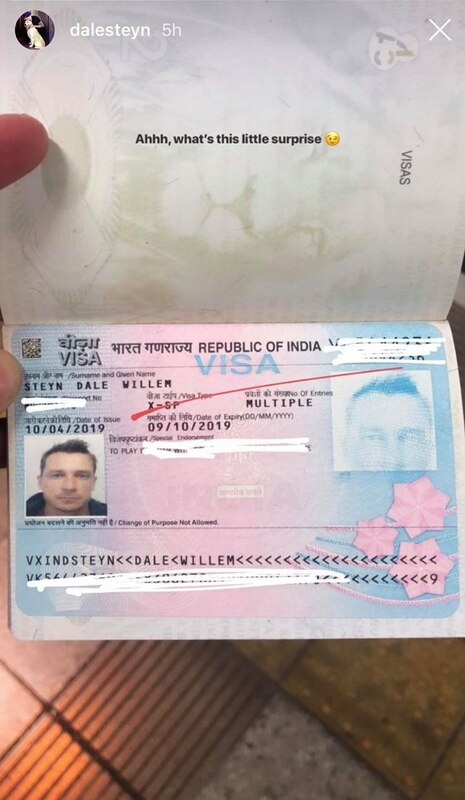 Meanwhile, Steyn uploaded a picture of an India visa to his Instagram story. 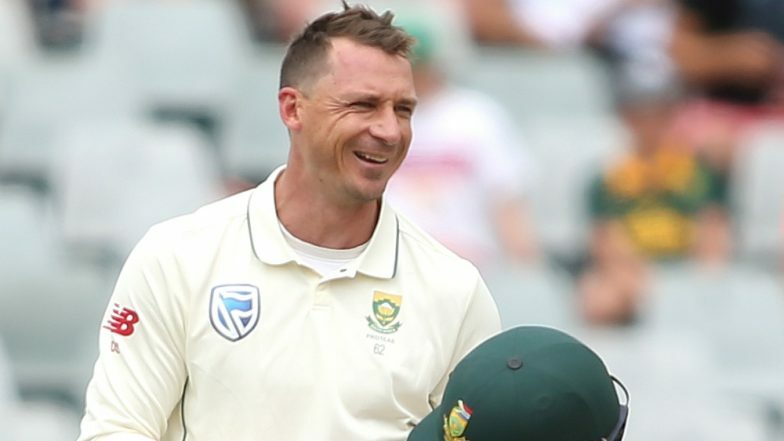 Steyn wrote, “Ahhh, what’s this little surprise” and had some information on his visa hidden. Chances are Steyn is Nathan Coulter-Nile’s replacement in the RCB squad. The Australia fast bowler has not joined RCB yet following the end of series against Pakistan. Now that Coulter-Nile is yet to join the Bengaluru squad, it is assumed that Steyn will replace him. Steyn, who went unsold at the last IPL auction, has previously played for RCB, now discarded Deccan Chargers, Gujarat Lions and Sunrisers Hyderabad in the IPL. Virat Kohli’s Doppelganger Found After Funny RCB Meme Goes Viral Following Royal Challengers Bangalore’s Winless Campaign in IPL 2019. Only time will tell whether Steyn is going the Virat Kohli-led team or not. Steyn’s last outing was against Dolphins in the One Day Cup. He picked 3/26 in that game and helped his side win the match. Enough of Funny RCB Memes! An Open Letter to Virat Kohli Haters From Royal Challengers Bangalore Fan. Meanwhile, RCB faces Kings XI Punjab (KXIP) next on April 13 at IS Bindra Stadium in Mohali and it will be interesting to see whether Steyn really joins the squad before that or not.